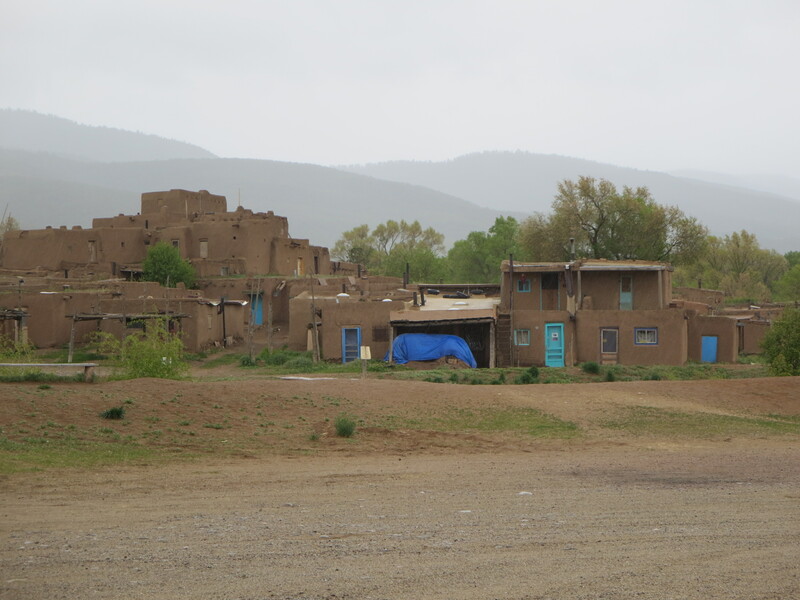 I visited Taos Pueblo today and learned a lot about how the community lives. 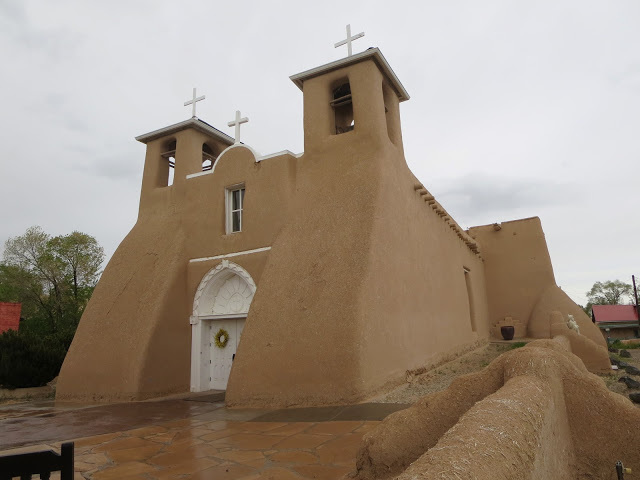 Taos Pueblo is one of 21 federally‐recognized pueblos in the USA, 19 of which are in New Mexico. 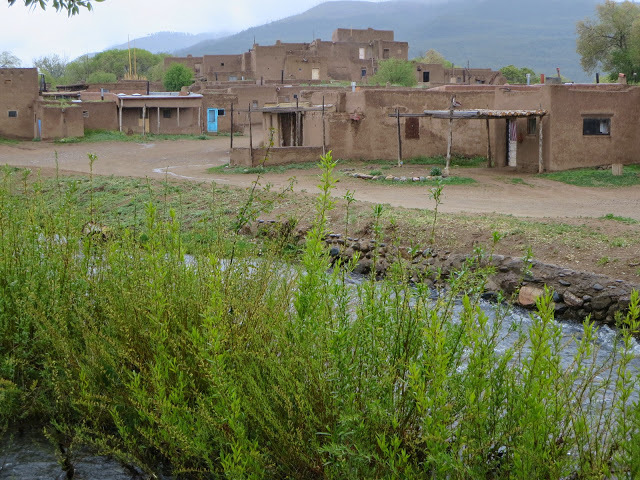 About 4,500 people are members of the Taos Pueblo, but only a few families actually live in the pueblo; most have modern homes outside the pueblo and also maintain homes within the pueblo that they use for ceremonial occasions. 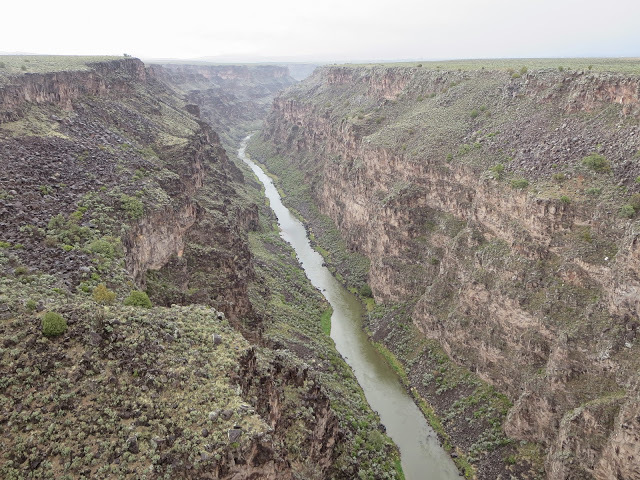 There is no electricity or running water in the pueblo. The homes have outdoor ovens, they use propane lamps and batteries, and they get water from Red Willow Creek, which runs through the community and is drinkable without requiring any treatment. 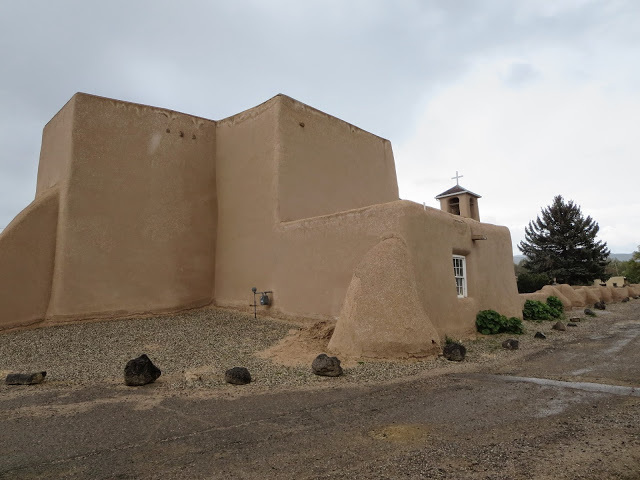 Before I went to the pueblo, I went to see the Church of San Francisco de Asis. 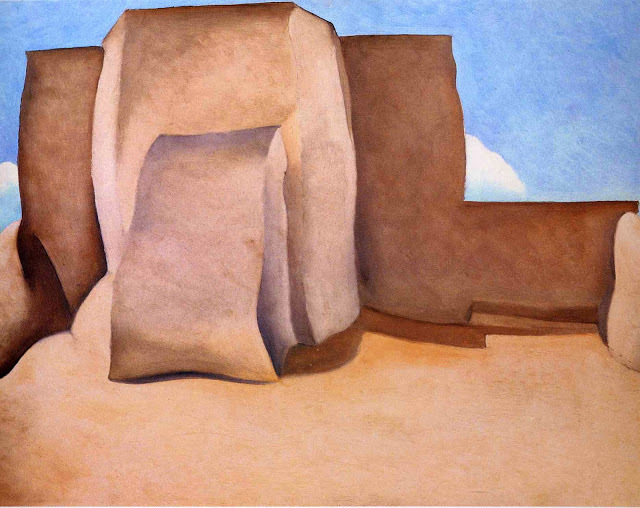 It’s pretty famous because it was painted by Georgia O’Keeffe as well as many other artists. I also visited the Ernest L. Blumenschein House and theMillicent Rogers Museum. Both were interesting. 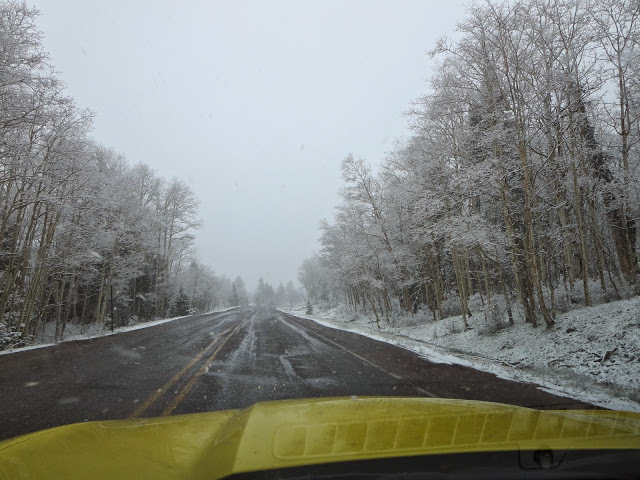 Finally, it was time to depart Taos. 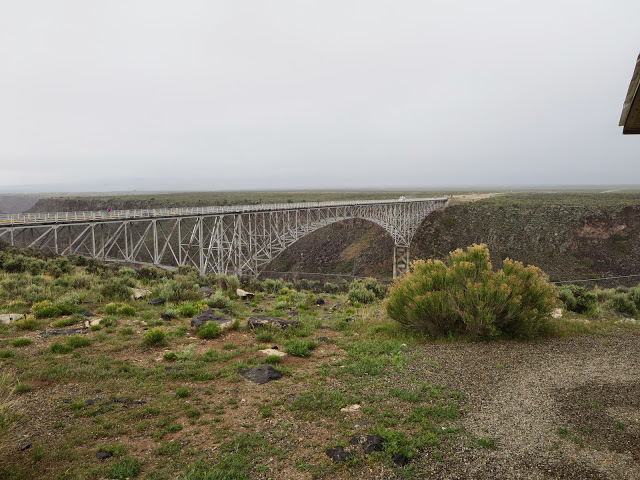 I only stopped once along the way, at theRio Grande Gorge Bridge. Unfortunately, the weather wasn’t great, so the pics are kind of dark. I arrived in Durango about 5:30, checked in to the historic Strater Hotel, where I have a tiny but charming room, and went out and had a great dinner at a brew pub with a very friendly bartender and excellent beer. And the sun came out just as I arrived in Durango. And it’s a really pretty town. So things are looking up.